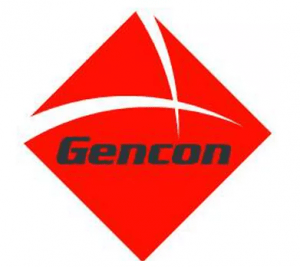 ‘The Integrated Quality, Safety and Environmental Management System which ISO Global developed for Gencon Civil perfectly complements and utilises our knowledge and experience in our industry. The process of developing, using the system and achieving certification has been a positive business improvement process for us. The Integrated Quality, Safety and Environmental Management System which ISO Global developed for Gencon Civil perfectly complements and utilises our knowledge and experience in our industry. The process of developing, using the system and achieving certification has been a positive business improvement process for us. The management system, because it was built around and reflects what we do, is straightforward and easy to use and has been a benefit to the business from the point that we implemented it. It is very much our system and allows us to add to the system and make changes as required. The system provides a solid basis from which we can grow and improve the business. Gencon Civil are market leaders in Pavement Stabilisation and Road Maintenance. “Having no previous experience with developing and management system I didn’t have any preconceived ideas about what would be involved. However there were lots of people out there telling us it would take a long time, be hard work and very difficult and that our plan to implement a triple Integrated System (Quality, Safety and Environment) within a six month period was ambitious. Townliving is a specialist national division, with experience and resources to provide dedicated urban design, product design, planning approval, construction, marketing and sales of a medium density projects, low-rise apartment developments and even retirement villages. “We chose ISO Global because of their prompt response and their willingness to arrange an onsite meeting to discuss the proposal. The project was delayed partly as a result of us introducing new systems and also so that we could use the process to ensure that all aspects were thoroughly documented. Phil was very accommodating and always happy to answer questions and provide support. 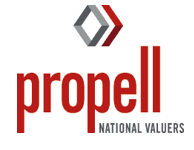 Propell is a national provider of property valuation, advisory services, and buyer’s advocacy service. “ISO Global supported us in revising our system to meet the requirements of ISO 9001:2008. Dennis was very easy to deal with and gave us good down to earth advice helping us to simplify and streamline many processes making the manual more user-friendly. The Australian Lifeguard Service (ALS) is a fully integrated national lifeguard service, providing services to more than 65 local government authorities and land managers across Australia. “We were referred to ISO Global and liked the idea of working with a local company, especially as we weren’t sure what to expect from the process. Ken, and the ISO global team, were really easy to work with. Ken clearly explained ISO 9001 and the benefits that an ISO 9001 Quality Management System would bring to the business. His ability to quickly understand the business and our needs meant that the system he developed reflects the way we work. We are very happy with the system which has formalized our processes and addressed areas where we were ready to make improvements. This has been a great benefit. ISO Global delivered the system within our timescale and we were certified when they said we would be! 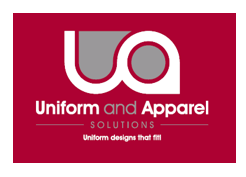 Uniform and Apparel Solutions (UAS) partners with companies that recognise the importance of company-supplied clothing – corporate image wear, uniforms and industrial wear – to the productivity of their people and the strength of their brand. “We had no idea what would be involved, working with ISO Global made the process easier and more understandable. The system we had in place was good but needed some changes to meet the requirements of ISO9001. ISO Global took the approach of working with existing systems rather than imposing a predefined system on us which was much better. The system has had major benefits in that staff are now looking for improvements and reporting them to our QMR. The workforce were hesitant about ISO 9001 to begin with but the system ISO Global developed has been easy to implement and get them on board with. A leading manufacturer in Australia, Beaulieu purchased the business of Vogue Carpet Mills in 2000, a similarly sized business also based in Queensland. “We needed someone who was competent in the field of ISO standards and auditing. The ISO Global website gave us confidence that they had the expertise and knowledge we were looking for. During our initial contact with them this impression was confirmed. The Mayo Group wanted our current system, which was hard to navigate and use, to be updated and revised so that it was simple to use and maintain and reflected the way the business operates. Dennis was a great help, taking the time to speak to people involved in the process and amending the documentation we had. He was also gave us great guidance regarding the level of maintenance required for the system and simpler ways of managing processes. First established in 1928, Mayo Hardware Pty Limited is proudly recognised as a supplier of value to the retail, trade, government and commercial markets in Australia, New Zealand and selected export markets. “The choice to use ISO Global for the development of our Integrated Management System was based on cost and their ability to meet our timescale. Given the experience of developing our OHS system in-house I expected that the process would be onerous and would involve a significant amount of my time. We were pleasantly surprised that this was not the case and that Ken provided us with the input and level of support we had been led to expect from ISO Global’s proposal. We are very happy to have gained a triple certification, with ISO Global integrating our OHS system with their Quality and Environmental system simplifying the management and certification. The system Ken created is a great reflection of the way we work, even the auditor commented on how good a fit the system is. Through the process of developing the system we have had to examine all aspects of the business which has highlighted areas where we can make improvements. 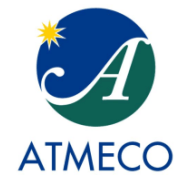 The ATMECO team brings to clients many decades of combined experience in the fields of component integrity monitoring, maintenance risk management, emissions monitoring and reporting, software design and development, data management, facility surveys and environmental and business performance improvement. Haltech developed the world´s first real time PC programmable engine management system i.e. programmable with the engine running. “We chose ISO Global based on the price and the fact that they had a consultant based in Sydney. ISO Global did exactly what they said they would in their proposal and the conversations we had with them, and we were very happy with the levels of customer service, advice and support we received. Phil was always available to answer questions and explained the process of developing the system and gaining certification clearly to us. Medi Australia, previously known as Reis Orthopaedic & Surgical Services, are importers, wholesalers and retailers of medical aids. ORAH Rail is a leading supplier of signalling design and testing services. Australis Biological Pty Ltd is an environmental consultancy and contracting company providing high quality services to managers of both public and private land. “Our experience with ISO Global was excellent – before meeting them we were somewhat overwhelmed by what we needed to do to meet the quality standards. Not only did they take the headache out of going for accreditation, they helped us to come up with processes that have significantly improved our knowledge management and client services. We would not hesitate to recommend them to small business – they definitely understood how to create a quality management system that would work for us. “Logix Engineering were required by a customer to have the ISO 9001 certification. I had experience of Quality Management Systems working for other companies and was apprehensive about the idea of introducing a huge system which would mean changing the way we operate to meet the requirements of the system, and which wouldn’t be easy to operate. I needn’t have worried, ISO Global created a system for us which reflects the way we work. Dennis very quickly understood our business and the system he developed reflects this. It was great to work with a company who understand what we do and did not want us the change the way we operate to suit their system. In fact it was almost too easy. Logix Engineering is a wholly owned Australian company specialising in the design, manufacture, assembly and distribution of enclosures, cooling and monitoring systems for use in the electrical power and data communication infrastructure industries. “The process of developing the system was easy, ISO Global were extremely thorough in their information gathering at the first meeting. Any actions required by us were clearly stated and allocated to a specific person. The whole process ran smoothly and within the discussed timescale. Elam provides electrical and data communications installations to a range of institutions including government, commercial and educational bodies. OZRAM specialises in keeping your hydraulics safe and in full working order. Globally recognised as Microsoft Worldwide Partner of the Year 2009 and ranked in as one of the Top 5 Australian Technology Employers, Kiandra has been a premier choice for quality IT infrastructure solutions, software development, databases, websites, analysis and reporting since 1995. “We had previously had a Quality Management System (QMS) developed which was not properly implemented, proved to be unwieldy and did not meet our business needs. ISO Global revamped the QMS to ensure it reflected our business needs and was easy to maintain, they provided clear guidance on the implementation and were available to provide any assistance required. Work Able Consulting offers independent and objective occupational rehabilitation services to injured workers, employers and Insurers. Hilchris have been delivering a High Quality Traffic Management Service for the last 15 years. We offer Professional Advice and Equipment. Dream. Think. Do. provides consulting services to government and private organisations on construction, project management and procurement/contract management. PCT Global specialises in the manufacturing and distribution of the EnduroShield range of products. “We found the process of gaining our ISO 9001 accreditation with ISO Global much easier and less stressful than we had imagined. From the initial meeting I was pleasantly surprised by how quickly their consultant understood our business and appreciated the needs we had as a business. Throughout the development of the quality system the communication was excellent, we were kept informed of progress and asked for input at all stages. The end result, the quality management system, closely meets our business needs. An unforeseen additional benefit came from the team looking at the business with a different focus rather than being immersed in the business. This has created a different perspective which I am sure will continue to bring about positive change. Achieving the certification has brought very positive reactions from our customers. HPA is a health policy consulting firm in the health care industry delivering quality research and analysis, which leads to effective policy development and positive action. Douglas Wright provides cleaning and maintenance services providing one stop cleaning solutions for commercial, residential and industrial buildings. “We selected ISO Global for their small business focus, competitive pricing, assurance that they would do most of the work and the positive testimonials on the website. We were not disappointed! Dennis was easy to work with, quickly understood the business and did it all except for some of the technical procedures, freeing us up to continue working in the business. It was easier than we expected. Motivact is family owned and operated and has over 40 years’ experience in the valve actuation and controls industry. “ISO Global were impressive from the beginning, they were happy to work with our extremely tight timescale and also sourced a certification company who were able to provide the service in the time required. Baracon is a multi-disciplined group offering individual services to whole project solutions. We apply innovative skills to solve problems, capture opportunities and find new and better ways to meet our challenges. “Working with ISO Global the whole process was much easier than I was expecting and took less time than I had imagined as well. I was surprised by how quickly and thoroughly the ISO Consultant understood our business, not many people do. CMA provides a wide range of both consulting and training services, and we aim to be a one stop shop for all our clients’ condition monitoring needs. “ISO Global from the beginning offered a good service at a good price. As we went through the system development the service was great, the ISO Global team were there to answer any queries and support us through the certification. Environmental Location Systems specialises in the location of underground services. Our service locators can assist in the detection, identification, locating, and marking out of underground utility services through vacuum excavation and non-destructive digging. “We chose ISO Global for a number of reasons, the professional way the quote was presented, the competitive pricing and the experience and knowledge of the team. We were looking for someone who would work with us on our existing system, identify the areas where we required advice and provide guidance and support to enable us to achieve certification. This was exactly what we got with ISO Global and our reasons for selecting them in the first place were borne out. As well as the certification, the process of reviewing and refining our procedures and the way we operate was incredibly useful for Ashworth Australia. I cannot stress the benefit of an impartial observer highly enough. Ashworth Australia provides telecommunication design, field validation, land access, and project management services throughout Australia. “A business colleague suggested we use ISO Global to develop our Quality Management System. We also searched the net and ISO Global was the company who said they could meet our need for achieving certification within a short timeframe. We expected that the process would take longer than it did and also involve a lot more of our staff time, a big commitment for a SME. Working with ISO Global disproved this, the process took much less time than we anticipated and, as they did most of the work, we are able to continue running our business. Our Quality Management System has simplified our paperwork and the tracing of the paperwork, and the development process helped us to identify ways of streamlining our processes which means that the factory runs more smoothly. Electronic Assembly Queensland is a family owned and operated company. We specialise in the assembly of printed circuit boards and electronic components for use in various applications across a range of industries. “Excellent, more than excellent. We were very pleased with the way Avital and Liesl worked with us, they were fantastic. We are very pleased with every aspect of the work done by ISO Global. For people who do not work in our area of business it was surprising how quickly and thoroughly the consultants understood our operational particularities. We had no idea what to expect, the outcome was excellent as was the communication and support provided by ISO Global throughout the process. Eltiv / Rom Control provides world class engineering services to Australian industry. 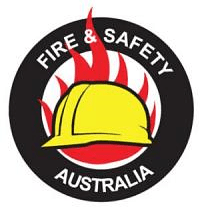 Fire and Safety Australia is one of Australia´s leading providers of National Fire and Safety Training and aims to provide passionate skills based training to improve safety and reduce injuries. Ken, and the ISO global team, were really easy to work with. Ken clearly explained ISO 9001 and the benefits that an ISO 9001 Quality Management System would bring to the business. His ability to quickly understand the business and our needs meant that the system he developed reflects the way we work. We are very happy with the system which has formalized our processes and addressed areas where we were ready to make improvements. This has been a great benefit. Fashion Biz was established in New Zealand in 1989 with a view to supplying garments to the local New Zealand market, originally importing woven shirts and polo shirts from Fiji. By 2000, the majority of Biz Collection garments were being manufactured out of Asia. “We chose ISO Global to conduct our internal audits for us because having looked at their website and discussed what with required with them, we felt confident that they could provide the service we were looking for. They have done exactly what they said they would, everything is going smoothly and we appreciate their approach of finding ways to better improve our system rather than simply finding any non-conformances. Dotdash is an interdisciplinary design practice focused on wayfinding strategy. We help millions of people find their way around our complex urban environments. We offer a comprehensive range of ecological services in terrestrial and aquatic ecology, including survey, assessment, monitoring and management of biodiversity values, and work on a diverse and interesting range of projects for Clients in both the public and private sectors. “We found the ISO Global team warm and professional which created a positive working environment. They quickly developed an understanding of our business, even though they had done most of their work in other areas. Possibly their backgrounds in Psychology helped and it was a refreshing change! Lewis & Lewis provides assessment, therapy, consultancy and counselling that is practical and delivered by experienced psychologists and speech pathologists. The Renroc Group was formed to develop a small and growing segment in the Australian Pump industry for hermetically sealed pumps. The company produces a unique and important product for a growing market. “St John Patient Transport selected ISO Global based on a recommendation from the St John CEO and the quality of their proposal which also represented value for money. ISO Global quickly grasped the essence of our business and in addition to creating a Quality Management System which reflects our business needs; the consultants were able to provide guidance and direction in streamlining processes. First Aid training services and First Aid kits. 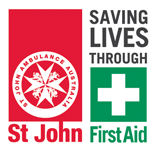 St John is your trusted partner in First Aid because when it comes to saving a life, Minutes Matter. “We looked at a range of suppliers to assist us in obtaining ISO accreditation. The key driver for us was the need to have the system in place and certified within a short period of time. IPAR’s broad range of injury prevention and workplace rehabilitation services deliver an end–to–end solution for our clients. Hardcat specialises in fixed asset management software and services. “Pacific Knowledge Systems wanted to achieve certification to ISO 9001 within a short timescale. Our first impression of ISO Global was very favourable, the 100% success rate on the website was a definite plus. We found them to be very responsive to both our initial enquiry and with the follow up discussions. We already had a number of processes in place, ISO Global were very happy to work with our short timeframe and with the documentation we had rather than imposing their own system on us. They even discounted the work as there was less for them to do.The system was delivered on time and we achieved certification within our timescale. Pacific Knowledge Systems (PKS) works with health organisations around the world to better capture, manage and leverage their human expertise to improve the performance of their business and deliver better patient outcomes. Mindray is one of the leading global providers of medical devices and solutions. “Hydro Valve Engineering Solutions selected ISO Global to develop a Quality management system because we were looking for a competitively priced, local provider. Although we were not sure what to expect at the beginning of the process, some members of our team had had previous experience with very document heavy systems and we were keen to avoid that. Hydro industry experienced valve engineers are available to support your project deliverables. For all your valve requirements, including butterfly, fixed cone (Howell bunger), gate or flow control valves. “We were originally approached by another consultancy firm regarding the development of an Integrated Quality, Safety and Environmental Management system, but right from the initial communication with ISO Global we felt more reassured, comfortable and confident that we were on the right track. I had expected it to be a lot tougher than it was, but actually thoroughly enjoyed the whole process. Ken was extremely easy to work with and very reassuring, he worked in partnership with us, making it easy. He has a great ability to reframe questions and concepts to ensure everyone understands. The system is a formalization of our processes and so reflects exactly the way the business operates. The process of developing the system has been a great opportunity to educate staff in a number of areas. A national property maintenance company offering and providing mostly cleaning. “We are extremely pleased with the work ISO Global did for us. Ken very quickly got to grips with the business and developed a Quality Management System which has been well accepted by all staff and is an integral part of our daily work. Ken was able to make suggestions to improve some of our systems which have made a difference to the efficiency of the business. 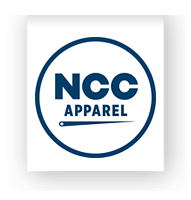 A privately owned family business providing high quality garments. “The 100% success rate and competitive cost were the reasons we chose ISO Global. I expected the process to be more difficult than it was, it seemed a bit overwhelming but Dennis did a great job of explaining the process. Medconsultants are leaders in medical assessments and reporting solutions with capabilities spanning the full medical and allied health spectrum. “I was impressed by their quick response and follow up. We were looking for a company who could lead us through the process making it as simple as possible. From the beginning ISO Global gave me confidence that they would do this, and they did. Our system reflects the way we work and is easy to use. ISO Global were happy to work with our timescale and encouraging and supportive as we went through the process. 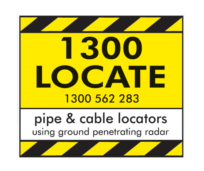 1300Locate Pty Ltd is a family owned business who undertakes Underground Utility Detection and Utility Protection. “ISO Global were extremely easy to deal with from the get go. We had no idea what to expect and Phil was great at explaining and leading us through the process. He responded immediately to our questions and gave us some ideas for improving some of our business processes. Offering a full range of Micro Machinery for equipment hire. “Having been through the process of achieving ISO9001 accreditation as a different company and we approached the need for gaining the certification with some trepidation, the previous experience had been gruelling! The experience with ISO Global was completely different; from the very beginning the team at ISO Global worked extremely hard and proved their competency. We were impressed by how quickly they understood our business; the consultant was very on the ball and went all out to ensure our deadline was met. We were thrilled by the ease and smoothness of the process, the quality management system is exactly what we needed and was delivered in an incredibly short space of time without a huge effort on our part. The process of developing the quality management system with ISO Global has given the staff a greater involvement and understanding regarding the business, improved communication and a tighter more focused team environment. 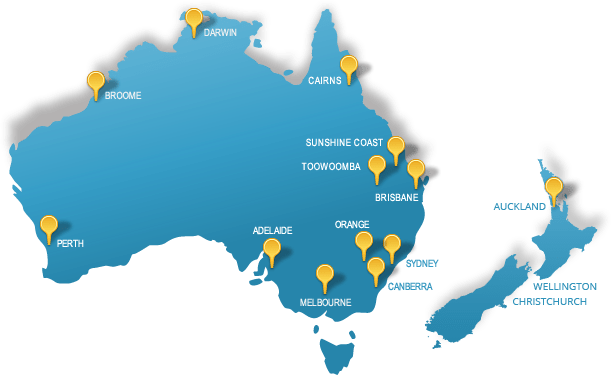 4Cabling is an internet-based IT company that aims to deliver cost-efficient, high-quality data, voice and electrical products to the Australian marketplace with outstanding customer service. Dickon & Dickson Healthcare, specialises in the manufacture of hospital beds, air mattresses, support surfaces encompassing alternating mattress overlays and replacement surfaces, foam products made to individual Market Specifications and low air loss systems. For Laboratory, Scientific and Industrial instrumentation. “Having searched the Internet and talked to a number of consultants, we found that Avital at ISO Global had the best knowledge about what was going on and was able to meet our timescale. We had no idea of the process and put everything into ISO Global´s hands. They made everything very clear and understandable. Aspect Personnel is a Melbourne-based recruitment consultancy specialising in providing recruitment services to the Victorian Engineering, Architecture and Planning markets. “We selected ISO Global for their understanding of the needs of small to medium business and familiarity with our industry area. We wanted someone who could explain the process, guide us through and ensure the system met our needs. ISO Global met our expectations 100%; the added bonus was that the amount of time required on our part was considerably less that I was expecting. We now have a system that will support our growth into a medium business and ensure the quality of the business is maintained. Dilignet was launched as the first Systems Integrator who exclusively specialise in Microsoft System Center and related technologies. Everick Heritage Consultants is a leader in the profession, providing our clients with innovative solutions to heritage problems. “We had no idea what to expect and engaged ISO Global trusting that from their information and the testimonials on their web site they would do the right thing. We selected them because they appeared to speak our language from the beginning and undertook to do most of the work, which suited us as we are extremely busy. Kingswood Investigations specialises in investigation services including factual enquiries and surveillance. “We were referred to ISO Global by a company using them to develop an integrated system. I thought we had a good system in place but ISO Global were able to suggest improvements which have tightened the system up, made finding information more efficient and our follow up on quotes easier. 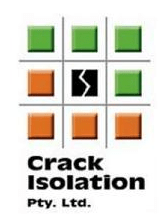 Crack Isolation distributes a product that eliminates cracking in ceramic tiles. We pride ourselves on the unique nature of this product within the Australian market. Mortara Instrument Australia supply diagnostic equipment to medical practices and hospitals throughout Australia. Aus Bright Cleaning Services specialises in commercial cleaning services. “Overall it was an easier process than I was expecting. The ISO Global team were extremely professional and experienced; they did most of the work and provided clear instructions for the areas we were responsible for. Not many people are familiar with our industry but the ISO Global team spent time with us and quickly gained an understanding of the service we offer. SVL Australia is a lighting products distribution and energy efficient lighting solutions company whose client base includes several international branded lighting companies and major Australian companies. We offer vibration analysis training courses, certification and products and that are unique in our industry. To help you succeed in vibration analysis we offer reference and assistance products, and courses that can help you gain experience. GBL Systems provide blast cleaning and specialist coating services in our own workshop or on site for construction equipment, mining, oil and gas industry, large vessels and the automotive industry. Saab Barracuda is the world’s leading supplier of products and services within multispectral signature management and force protection technology. “From their first response to our enquiry we knew ISO Global were the company to help us get our ISO 9001 system back on track. Their approach of creating a simple, easy to use and easy to implement system was exactly what we were looking for. We were excepting the process to demand a lot more of our time than it did, it was wonderful to find that they did exactly what they promised and created the system for us, allowing us to focus on running the business. Dennis, our consultant, was a great support showing us the way and providing Faber-Castell with the tools to work with. We got exactly what we needed and wanted, a certified system which was easy to implement and easy to use. Our auditor was very complimentary about the system, never having audited on of ISO Global systems before. He described it as “simple, easy to understand and user friendly.” In particular he liked the separate procedures for each process where people only have to read those that are relevant to them. Faber-Castell Australia has been in operation for over 40 years and is a major player in the area of high-quality products for writing, drawing and creative design. “We chose ISO Global after a web search – we were not happy with a previous company that we had been using. The ISO Global staff were super helpful and made us feel important from the start and that is why we decided to work with them. The process working with ISO Global was much easier than expected. This was mainly due to their professionalism and approachability. The system they created for us is easy to follow and all queries and questions were answered in a very timely manner. The system is very easy to use and with simple steps. Aquatec Equipment is Australia’s leading supplier of water garden equipment and products. Established in 1978, our reputation has been proven with over 30 years in the industry and we continue to break the boundaries. “Our company, being a small one, was new to ISO 9001 and we were panicking and expecting it to be a nightmare, but this wasn’t the case with ISO Global. Dennis was extremely personable and calming and all the staff were friendly and professional. We were always given plenty of time to do things in and didn’t feel pressured or rushed. ISO Global let us work at our own pace. We provide a full range of tree services, including tree removals, pruning to Australian Standards, stump grinding, storm recovery involving trees, Arborist reports, assessments, tree survey and other arboriculture consultancy. Jascon Pty Ltd is a diversified building and civil infrastructure company based on Queensland’s Sunshine Coast, with project delivery capability across a range of industry sectors.